WASHINGTON — Pennsylvania Gov. Tom Wolf told officials from 33 states and territories Monday that his state’s efforts to reduce one of the highest opioid death rates in the country were built on creating 45 centers to address the mental health and behavioral issues that lead to addiction. 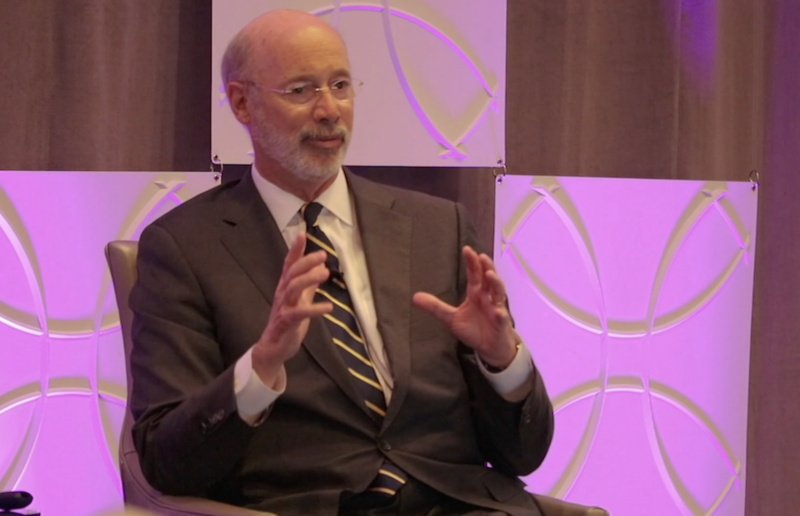 Although the data has not been fully reported from all counties, “It looks like 2018 might be the first year we actually see a decline in opioid deaths in Pennsylvania,” Wolf said in his address to the National Governors Association’s Opioid Summit for New Administrations, a two-day event for state governments and nonprofits across the U.S. to discuss solutions for reducing opioid use and death. The most recent data from the Centers for Disease Control and Prevention reported that in 2017, Pennsylvania had one of the highest rates of deaths related to drug overdose with around 44 deaths per 100,000 people. Last year, Wolf established an Opioid Command Center comprised of six state agencies that collaborate on how to prevent and reduce opioid use. Wolf’s office also announced the success of 45 state-funded opioid use disorder treatment centers known as the Centers of Excellence. In a 2018 report, the American Medical Association highlighted Pennsylvania’s success with these centers in addressing mental and behavioral health disorders related to addiction. Many advisers to governors across the country were in attendance for the opioid summit. Some of those representatives came from Alabama, Alaska, Kentucky, Ohio, Tennessee, New Mexico, Wyoming, and Wisconsin. Jane Wishner, executive policy adviser for New Mexico’s Health and Human Services Department, asked Wolf what he would have done differently with his experience in expanding Pennsylvania’s opioid treatment services. Wolf said he would have started his campaign against opioid use disorder sooner. Wolf also noted that governments cannot celebrate the slowdown of the epidemic because other addictive drugs such as methamphetamine and crack cocaine are replacing opioids. “Republicans and Democrats, liberals and conservatives, all seem to come around this issue in Pennsylvania,” he said.